YOU JUST CAN’T GET ENOUGH DANCE! Deals at DanceLife Teacher Conference! Happy National Tap Dance Day 2018! My floor is acting up! There are scuff marks on my floor that won’t come up! 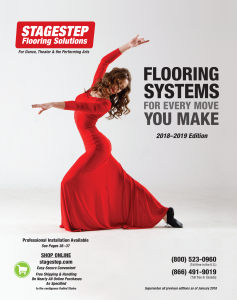 Why invest in specialized dance or theatre floor systems? Why is it called a Marley?